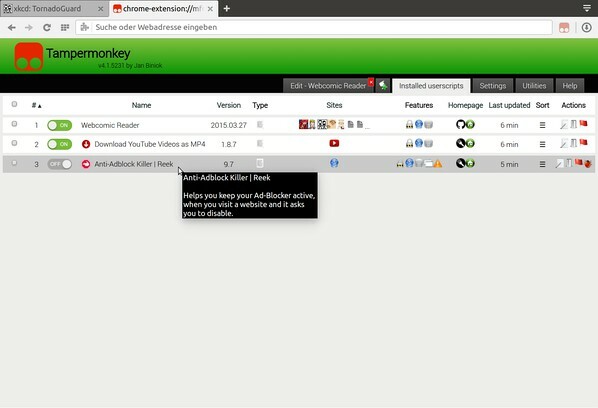 Tampermonkey is a free browser extension and the most popular userscript manager. 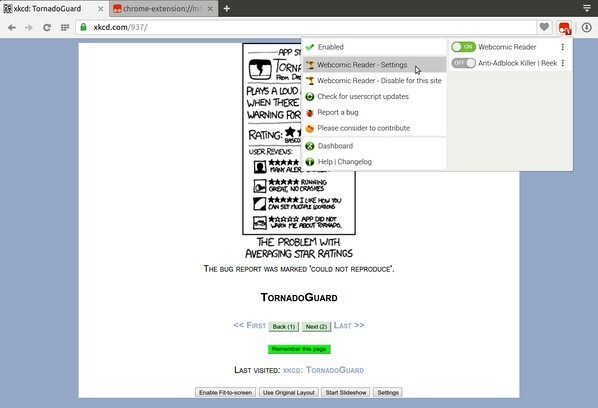 It's available for Chrome, Microsoft Edge, Safari, Opera Next, Dolphin Browser and Firefox. 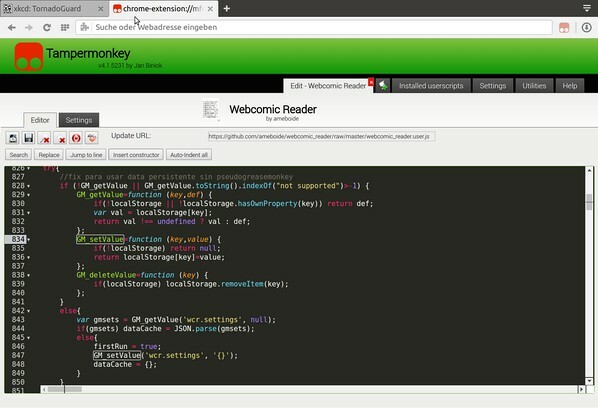 Tampermonkey will give you much convenience in managing your userscripts. It provides features like easy script installation, automatic update checks, a simple overview what scripts are running at a tab and a built-in editor. You can also import and export your scripts and settings via some popular cloud storage services (Google Drive, Dropbox, OneDrive, WebDAV). pyGet lets you share files with remote computers and smart-phones without the need of any plugins.